We’ve talked about fake Yelp ratings before here on Techlicious and how to spot a faked review. But according to a new analysis of iTunes and Google Play by Apptentive, you should be keeping an eye out for fake app store reviews, too. Recently, the app customer relations company introduced a new “Reviewer Quality” metric that uses the length and word usage of a review to determine how likely it is that the review is legit. Apptentive studied the 1,000 smartphone and tablet apps with the lowest measured Reviewer Quality scores to gain a better understanding of fakes and to grab some statistics. 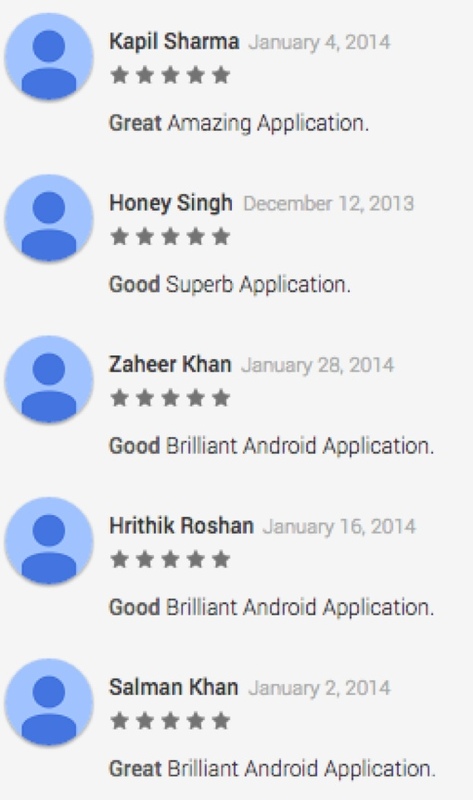 Many of us view Google Play as an electronic Wild West of questionable apps and just-as-questionable reviews, but Apptentive’s study suggests the Apple App Store has plenty of its own problems with faked reviews. Of the apps with suspected fake reviews, 55% were on the Apple App Store, while only 45% were found on Google Play. But if the Apple App Store has a problem with quantity, Android’s Google Play has a problem with quality. Of the 100 apps with the lowest Review Quality scores, 80% of them were found on Google Play. This suggests that faked reviews may be easier to spot on Google Play, or that Google Play does a less aggressive job of policing for fakes. It’s reasonable to want to avoid apps with a lot of faked reviews. Thankfully, there are a few clues to finding the fakes. Apptentive suggests you be on the lookout for 5-star and 1-star reviews that are similar in phrasing and length – clues that someone paid to astroturf an app store with reviews. Also be on the lookout for apps that have a large number of similar reviews over a short period of time. That’s especially true if the reviews came immediately after an app’s release, with few if any other reviews posted since. For more on Apptentive’s analysis, check out the latest entry on the company’s blog. Thanks for sharing this with your readers Fox. You got the details right, much appreciated - there’s more to come here, I’d be curious about questions you have about our approach or ideas on how to make it more useful. Thank you so much for the article. I live in a very tiny town and use not only google play a lot but we shop online a lot and we base our purchases sometimes soley based on reviews. I knew people did fake reviews but I didn’t know what to look for. Thank you.